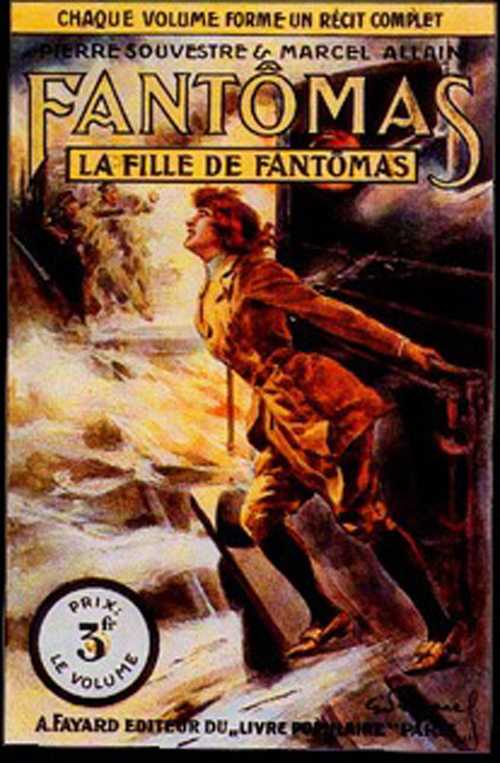 First published in 1911, "La Fille de Fantomas" features the introduction of the French master villain's daughter, one Helene, who has been kept from her father's legacy her whole life by being raised in southern Africa, which is both safely away from his crime empire, and yet oddly enough at the very heart of it. This book was translated for the first time by Eye-n-Apple Prods. Mark Steele, better known as Icarus!, and is available both from EnA and from the publisher, Black Coat Press. The book, in simplified form, is the basis for Act II of Eye-n-Apple's musical version, "Fantomas, Mon Amour", which is currently under production. The sound track is tentatively planned on being released in 2013 in conjunction with the French celebration of the 100th anniversary of Fueillade's movie version, planned on being celebrated in Paris. Though casting on the musical is still ongoing, Mark will be recording the parts of Gurn/Fantomas himself, and his daughter, Ray, will be recording the part of Helene. Production of a promotional video is currently underway, wherein Helene sings in a German cabaret. The piece is remarkably similar to the 1920s pop song, "Toot Toot Tootsie", which was featured in the early sound movie, "The Jazz Singer", the first synchronized dialogue movie produced. Further information on the above projects will be released soon. The promo flyer file attached to this page is the promotional flyer for the promotion, and contains material copyright by Mark P. Steele and Black Coat Press. Permission is given to download, print, and distribute this to any interested parties, and to send ecopies across the net. As Mark's company, Eye-n-Apple Productions, is hosting this wiki, I believe that constitutes sufficient notice.